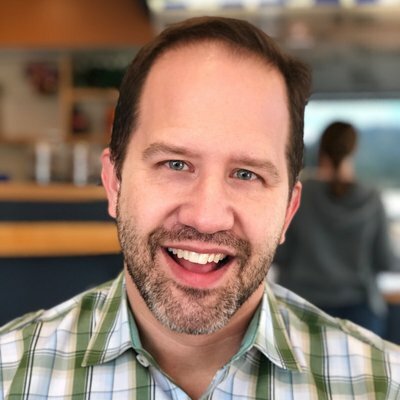 Scott Hanselman works for Microsoft as Principal Community Architect for Web Platform and Tools, aiming to spread the good word about developing software, most often on the Microsoft stack. Scott has been a Chief Architect in eFinance, a college professor, a trainer, and a consultant going back 20 years. He will speak about computers (and other passions) whenever someone will listen to him. He's written a few books, and has blogged at http://www.hanselman.com for the last 10 years and podcasts weekly at http://www.hanselminutes.com and http://www.thisdeveloperslife.com. ABN AMRO Asset Based Finance (ABF) is an independent subsidiary of ABN AMRO Bank, we offer leasing, factoring and supply chain finance. We enable our clients to do their payments, for example a transportation company which needs to pay for is fuel but will be paid by its clients after 60 days. ABF is located in four countries, besides the Netherlands we are also located in the UK, Germany and France. The IT department is centralized in Utrecht. On the IT side we do a lot with .Net and Angular on a Microsoft oriented infrastructure. Recently we put our first .Net Core applications in production, next steps are the use of Microsoft Azure for server less solutions such as WebApps and Functions. With the uses of these new technologies we want te be able to adapt to our client needs and develop digital seamless and smooth customer journeys. But why do we sponsor this event? Because we believe that quality starts with people, and that people are eager to learn to become a professional craftsman. That's why we want to give something back to the .Net community. We couldn't do this without our friends! Our friends at SDN (https://www.sdn.nl/), the Dutch .NET Group (https://dutchdotnetgroup.nl/) and Breda Dev Meetup (https://www.meetup.com/Breda-Dev/) helped us to spread the word about this event. Go and check out their awesome user groups! Also, http://dotnetevents.nl/ helped us out as they always do. You can see all of the cool .NET events in the Netherlands on this website. This includes the free community conference dotNed Saturday.